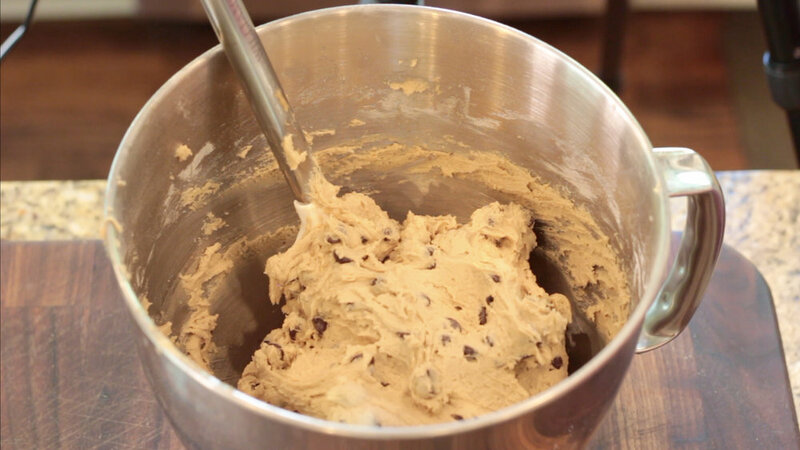 This recipe is my go-to chocolate chip cookie recipe! While it's based off the Original Nestle Toll House recipe, there are a few subtle changes that I think make all the difference! I hope you try them and enjoy! The final product is flavorful, crispy, and delicous! 2. 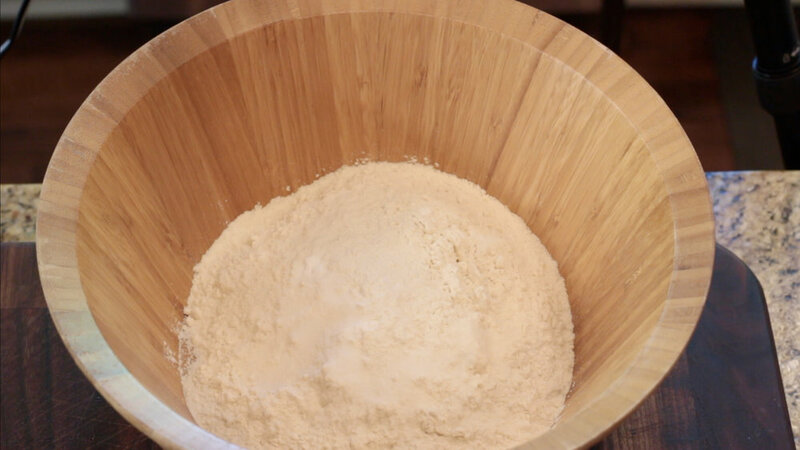 Combine all-purpose flour, baking soda and salt in a bowl. 3. 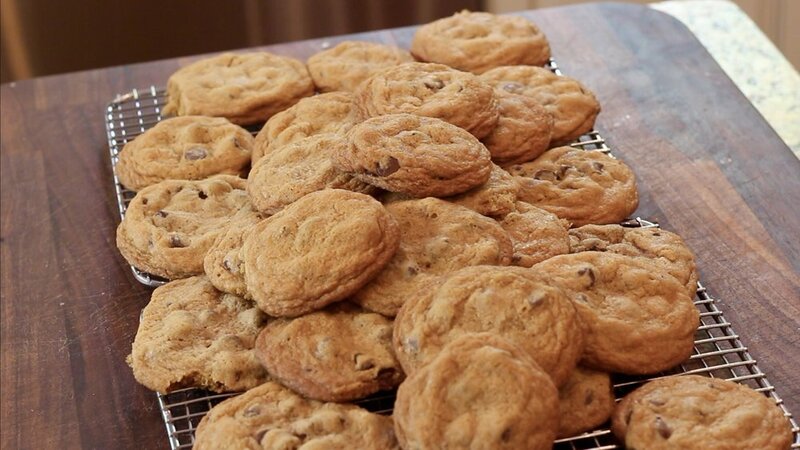 In a stand mixer, (you can also use a large bowl and a hand mixer) cream the butter, butter flavored Crisco, sugar, dark brown sugar and vanilla extract until white streaks from the butter have disappeared. Add eggs, one at a time, beating well after each addition. Gradually beat in flour mixture. Stir in chocolate chips and nuts. 4. 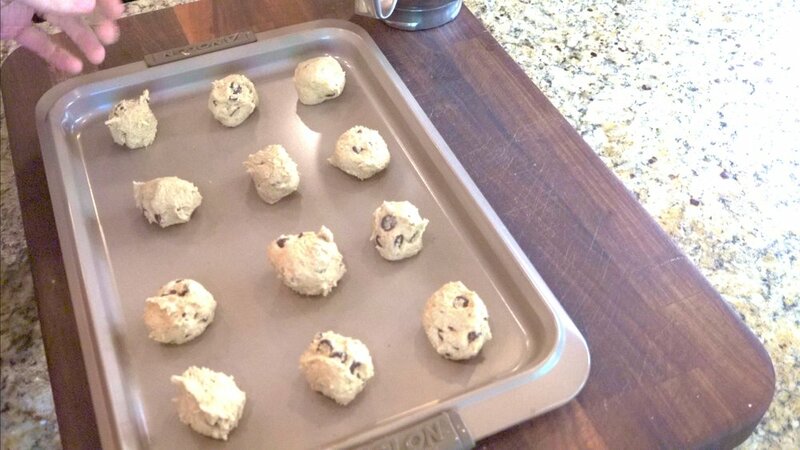 Form into rounded balls and place onto ungreased baking sheets. 5. Bake for 9 to 11 minutes or until golden brown. 6. Cool on baking sheets for 2 minutes, then remove to wire racks to cool completely. 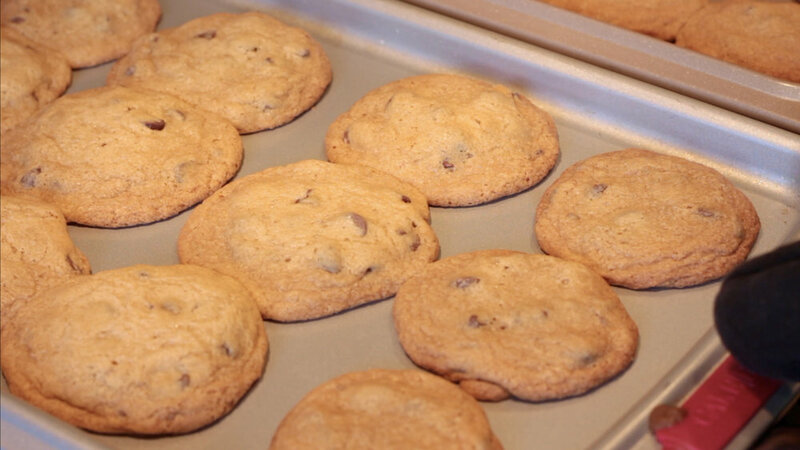 Once the cookie dough is formed and put onto baking sheets, you can place the baking sheets in the fridge overnight to help the cookies develop even more flavor. You can use a bar of dark chocolate and cut it up instead of using pre-made chocolate chips for a more hand-made feel! Always crack your eggs into a separate bowl first. That way you can easily pick out any shell pieces before adding them to your recipe. Watch a video of this recipe on YouTube! Older PostDisney Parks Recipe: Bobotie!